The core module of the Orion MPCV system. Greys - For initial hand holding that got my started on the correct path. Starwaster - For his Reflection Plugin Continued. The MPCV may already exist in game in the form of simghai's SDHI, I haven't checked yet to see if the scale matches the SLS. If it does match, then one less part(s) to make. Otherwise SDHI doesn't match, I will make a matching version. One of the more remarkable aspects of this long distance deployable space station is "...provides deep space vehicle assembly...". Sounds like there is an existing mod to compliment that no? Also, did you notice the central component? This part screams "SCIENCE!". Although, coding is my weakness and I'm not confident in my skills to be able to code a new science device. But I'm willing to give it a try. Can't be that hard, can it? Not to much to say about these. I recall seeing pretty much these exact same components in other mods. I don't recall which off the top of my head though... I'll find them later. Mars? They mean... Duna... right? Not to much details about this one. I'll do some research to see if I can find more information about this Europa probe. Another part that screams "SCIENCE". But, just looking at that thing makes my want to break out blender and start modeling. 200 AU... another science related probe I'm thinking. Are those..... strange solar panels or almost stock RTGs on that thing? Another probe... another opportunity for SCIENCE. This looks like a type of inflatable habitat? Didn't I see one of those already available? Over the next few weeks, I will be digging up more information and dissecting the components of this system to more fully plan out it's possible future implementation. Stevincent already made most of the SLS, but stalled right before release. As a side note: I just looked at Stevincent's thread. I hope he comes back. His models are excellent, I think mine would be a pale comparison. But, if he doesn't, I might as well try. Well he was on yesterday, so it's not quite as dead as it could be. Start with the payloads. They're much more interesting than the SLS itself. Yes, I see that he logged on yesterday. But no comment or update to the thread 3 months. I'll send him a PM to see if he's still doing it or if I can run with it. Agreed. You should do this first. Sorry for thread jack. Not at all man. Wasn't really thread jacking. 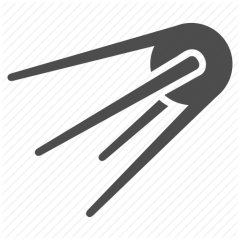 I didn't see the other development thread and I'm glad you brought it to my attention. Last thing I want to do is steal someone else's project! Id agree with Dragon01 on this one, If you do move with this, id start with the payloads, there are some real intresting looking items! I think I am gonna have to agree with a lot of the people on here. Working from the top down on this one would probably be ideal. Payloads and fairings, upper stage engines, and then work on the rocket. Just and idea. I sent a PM to the author of the previous mod about 10 days ago. He hasn't logged in since so obviously I haven't gotten a reply. So I'll be starting on this project this coming weekend as soon as I finish my THST mod. I'll be starting with the Orion MPCV and just do a part.cfg rescale of the existing NASA fuel tanks and engines. After that, I will finish the other SLS payloads. 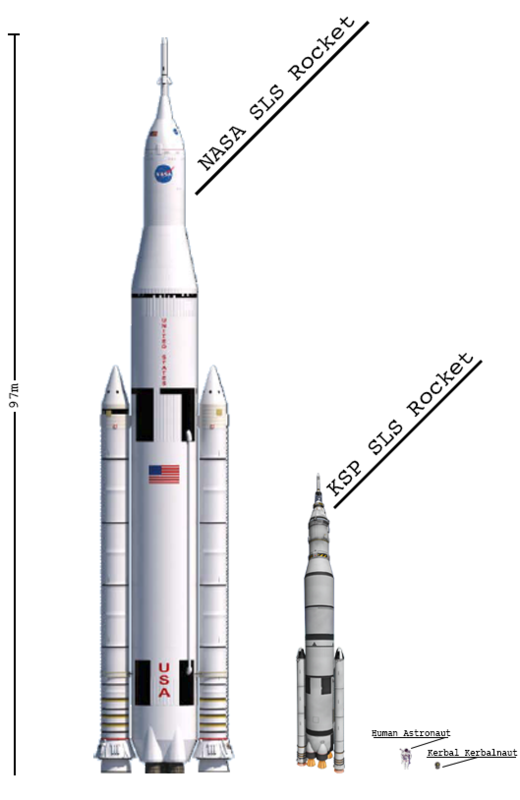 I'll save doing the real SLS tanks and engines for the last, as simply rescaling the existing tanks and engines should be suffient in the short term. Other than that, really excited to see this develop! This was just posted on the official Kerbal Space Program website. Why? It's using only already-released parts anyway. Pretty funny that the screenshot has the engines in full emissive, though. I didn't mean I was expecting a pending release. I was looking at this and thinking... "RSS version? Will it fit in the VAB?". Of course it won't. Saturn V doesn't. Who cares? You can still build above the ceiling with Hangar Extender or RSS. I'm jealous that you found all those pictures. I never saw those anywhere. Haha same here, those are some nice concepts! This mod could turn out to be awesome! Will be following the development. Haha. Nothing SpecialÃ¢â€žÂ¢, I just googled "MPCV" and clicked images. I did some preliminary work on the model for the Orion capsule. This is the base model with rudimentary textures and no normal maps. Lots of work left to do before this is even half finished. But, have a look! Wait... you are just doing the SLS, right? Because somehow, an Ares I also made its way into that album. I don't want to discourage you, but there's ChakaMonkey. Maybe you should join with Yanfret instead of developing yet another SLS all by yourself.